Obenchain House | Historic Jacksonville, Inc.
What’s known as the Obenchain House at 355 North 4th Street was actually built for David Hopkins around 1868. Hopkins, known for mining, farming, and lumber, supplied all the timber for the 1867 Jacksonville schoolhouse built on Bigham Knoll. 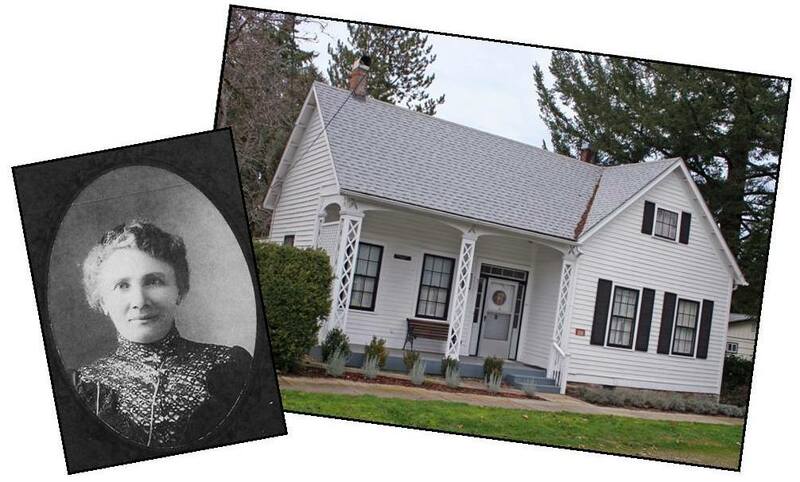 Minnie Obenchain purchased the 4th Street house around 1901. Madison and Minnie Obenchain had been early Jacksonville residents, but moved to Klamath County in 1881 where they established a ranch. After the death of her husband Madison, Minnie returned to Jacksonville. She later married George Lewis, the proprietor of the Union Livery Stable.